Portable design, for on-site testing. Realized one-key operation of charging and discharging. FPT15-I Portable surge generator is designed for on-site testing of surge protective device and lightning strike counter. 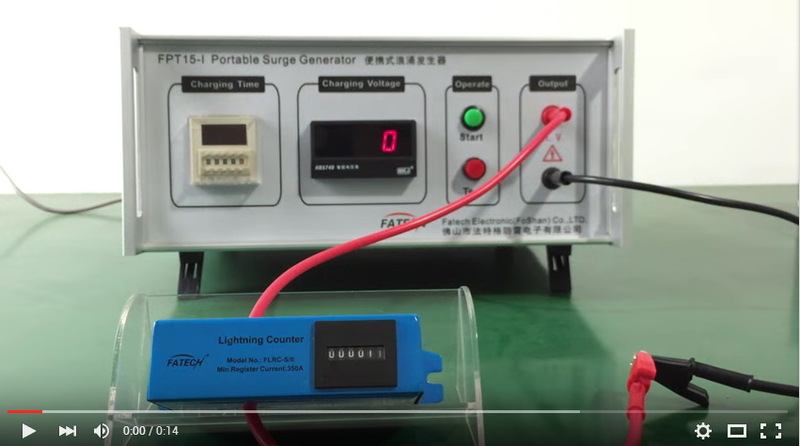 The surge generator is able to release max. 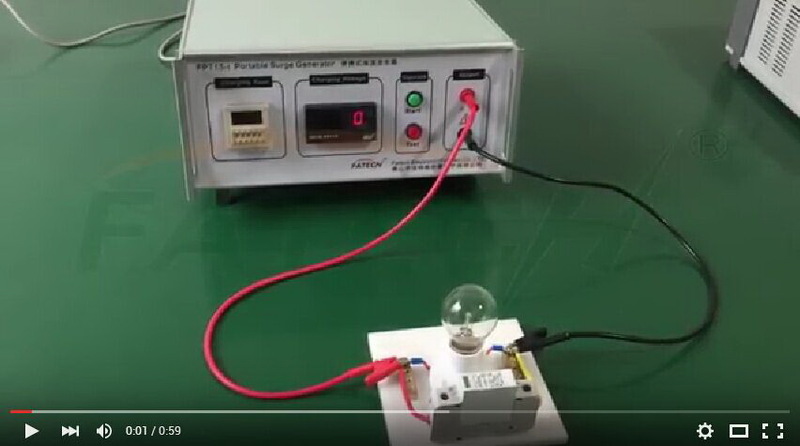 discharge current 2.5kA, realized one-key operation of charging and discharging. 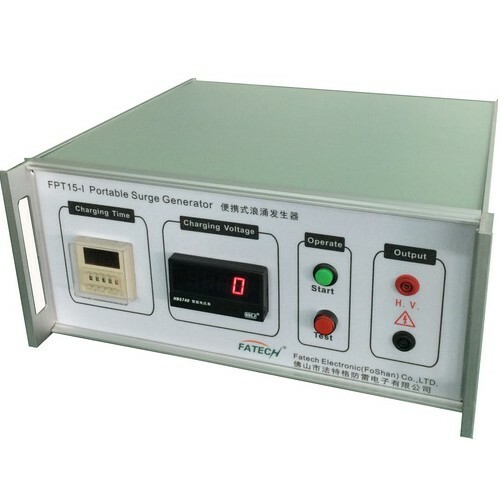 Press the green “Start” button, the surge generator starts charging, the relay starts counting time until the device stop charging, while discharging. When time relay’s indication light off, the test end. This vedio showes you how surge protective device protect your equipment. From the vedio you can see, with SPD installed, the bulb is working in good condition, but after pulling SPD without installation, the bulb is damaged. It is tested by FATECH FPT15-I. Please click here to view the video. Before the testing, the counter number is "11", during the testing, after surge generating, you can see the number changed to "12". The lightning counter record lightning times successfully. For detailes info, please feel free to call us or send email to sales@fatech-surge-protection.com.